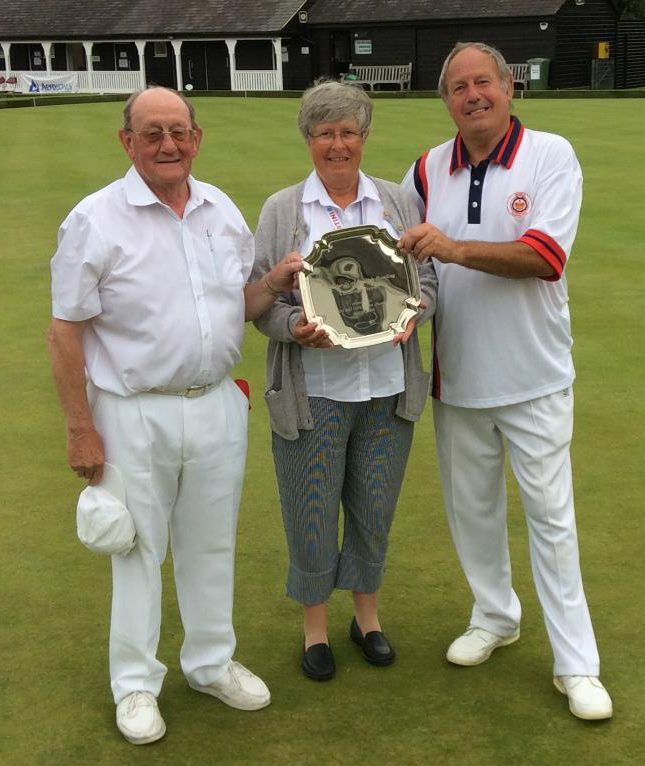 Today saw the fourth staging of the Friends of English Bowling’s 2 Wood Pairs event held during the National Championships on the hallowed greens at Leamington Spa. 25 Pairs contested the event (down from 32 last year) and the first game saw the departure of last year’s winners, John Colley and Dave Holloway. Other “favourites” were also soon toppled. The first semi final saw Janet Farnsworth (Yorkshire) and Stewart Wright (Berkshire) take an early 5-0 lead against Ken Eichen (Hampshire) and Frank Barrett (Leicestershire) only for the later to rally and run out 15-10 winners. The second semi final saw Jackie Bryant and Jenny Ralph (both Bedfordshire) take a similar early lead over Pam and Mike Cavell (Buckinghamshire) eventually triumphing 13-6.